Our legendary live venue, which has hosted global superstars including David Bowie, Kate Bush and The Rolling Stones, and staged sell-out runs from comedians Michael McIntyre and Billy Connolly, has revealed a new high-tech flooring system which is now available to book for a diverse range of events, from awards ceremonies and weddings, to cutting-edge product launches and fashion shows. 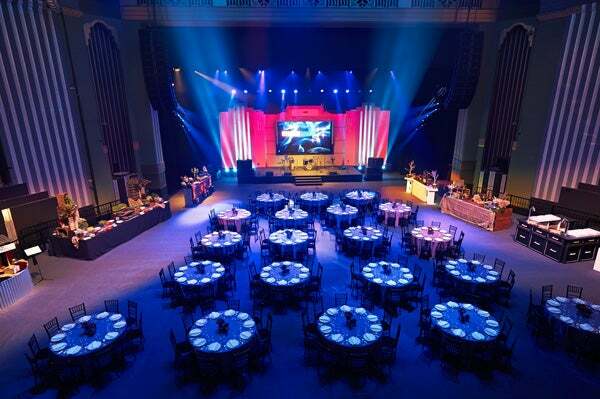 The auditorium provides a stunning backdrop to any event. Originally designed as an Art Deco cinema, this versatile space seamlessly fuses high-tech sound and lighting with 1932 grandeur. The plasterwork and cornicing is a work of art but it's fully operational Compton pipe organ that really steals the show. The two-level foyer is a perfect breakout space for drinks receptions or after-show parties. Just like the auditorium, this versatile area has been spec'd out with ultramodern lighting and sound equipment that compliments the stunning Art Deco features. Here you'll find a unique terrazzo floor, decorative windows and freizes by the artist Newbury Abbot Trent. Additonal breakout rooms of various capacities available at request. Our modular floor can be installed overnight to transform the perfect sloping view for watching gigs into a split level flat floor, ideal for seated dining events for up to 720 guests or a standing reception for up to 1500. 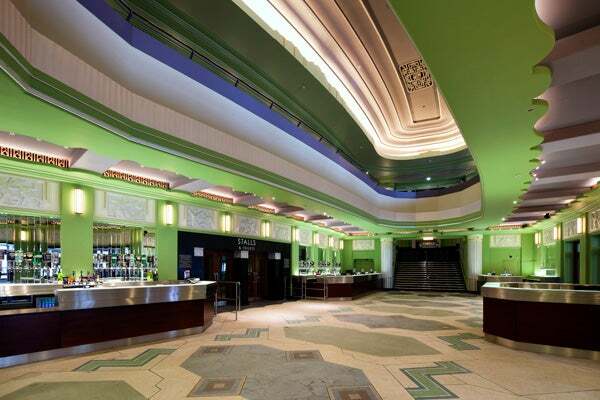 The auditorium also has the capacity to seat 3300 theatre style for conferences or screenings and our art deco foyer area with its original features is the perfect space to host a drinks reception or an after show party whatever the event.